Hon. Eric Kwakye Darfour born 21st September, 1957 Achimota Accra in the Greater Accra Region of Republic of Ghana. He is married with three (3) children. He acquired a Bachelor of Arts Degree in French and Linguistics from the University of Ghana, Legon, in 1982. He was a French tutor at the Abuakwa State College from 1982-1985. From 1985 he has been the Managing Director for Ecovans Ltd, Nkawkaw. Additionally, in 2000 he became the Board Chairman for Kwahu Praso Rural Bank Limited, a position he has held to date. From 2001 to 2005, in the first term of former President John Agyemum Kuffour, he served as the Special Assistant to the Eastern Regional Minister. 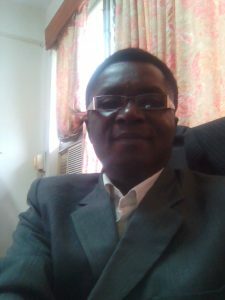 From 2009 to 2012 he was the Eastern Regional Treasurer of the NPP, and was subsequently elected Member of Parliament for Nkawkaw Constituency on the ticket of the NPP in 2012. In his first term as a Member of Parliament, he served on the Foreign Affairs Committee and the Privileges Committee. In the just ended Parliamentary and General Elections, he was re-elected as Member of Parliament on the ticket of the NPP to serve the people of Nkawkaw Constituency. He was subsequently appointed Eastern Regional Minister in March, 2017. Religion: International Society for Krishna Consciousness (ISKCON). Mr. Randolph Korzie Sambo holds a MSc in Development Policy and Planning and BA Social Sciences from the Kwame Nkrumah University of Science and Technology (KNUST). He had his Secondary Education (GCE Ordinary and Advanced Levels) at Navrongo Secondary School in the Upper East Region. He taught Economic and Business Management in Tamale Secondary School as a National Service Personnel in 1988/89. He entered the Ghana Civil Service as an Assistant Commercial Officer with the then Ministry of Trade and Tourism and following the temporary closure of the Ministry in 1989, he opted for the Administrative Class in the Civil Service and was posted to the Eastern Regional Co-ordinating Council (ERCC) in 1990. His tour of duty in the Eastern Region as an Administrative Officer took him to the following Districts; Manya Krobo, Kwahu Afram Plains, Kwaebibirem And Suhum Kraboa Coaltar. In August 2002, he was posted from the Eastern Regional Co-ordinating Council to the Ashanti Regional Co-ordinating Council (ARCC). In the Ashanti Region his postings included Kumasi Metropolitan Assembly (KMA), Ejisu Juaben, Ahafo Ano South and Bekwai Municipal Assembly. To enable him perform his duties effectively and efficiently, he pursued a number of career development programmes at the Ghana Institute of Management and Public Administration (GIMPA) where he earned a Post-Graduate Certificate in Public Administration in (1994), Post-Graduate Diploma in Public Administration (1996), Senior Management Development Course (2005) and the Chief Executive Programme (May-June, 2010). To further enhance his professional competence and position himself for higher responsibilities he enrolled as a pioneering member (2002) of the Post – Experience – Qualifying Professional Programme (PEQPP) of the Charted Institute of Administrators and Management Consultants (CIAMC) and successfully completed in 2003. In July 2012, he was reposted to the Eastern Regional Co-ordinating Council and assigned to the New Juaben Municipal Assembly. In October 2014 he was appointed the Acting Regional Co-ordinating Director to fill the vacancy created at the Eastern Regional Co-ordinating Council. Barely a year as the Acting Regional Co-ordinating Director, he was confirmed as the substantive Chief Director of the Eastern Regional Co-ordinating Council in October,2015. Mr. John A. Donkor was born on 9th April, 1964. He is a native of Adukrom-Akuapem in the Eastern Region. He speaks five(5) languages-English, Russian, Okere, Twi and Ga. He has two(2) sons. Mr. John A. Donkor possesses a Master of Science degree in Finance and Banking from the Moldavian State University in the former USSR. Currently, he is a student of the ICAG. 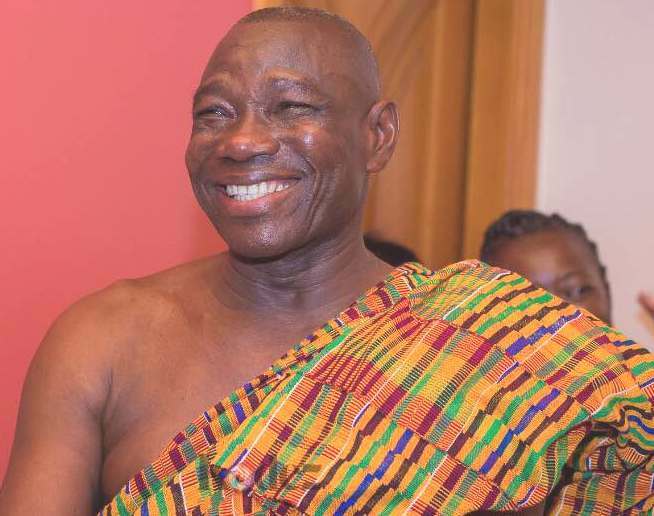 He obtained his GCE A’ Level Certificate at the Presbyterian Boys’ Secondary School, Legon in 1984 and the GCE O’ Level Certificate at the West Africa Secondary School, Accra in 1982. He has several certificates, some of which are: Certificate in Russian Language from the Moldavian State University; Certificate in Budgeting and Financial Management from GIMPA and Certificate in Governance in Local Government from GIMPA/Danida Fellowship Centre. Mr. John A. Donkor is currently the Regional Budget Officer of the Eastern Regional Co-ordinating Council with a grade of Chief Budget Analyst. He occupied this position from March 2016. 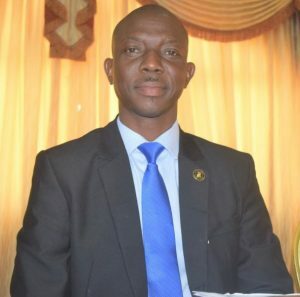 Before then, he was the Municipal Budget Officer of the Berekum Municipal Assembly from January, 2014 to February, 2016. He also worked with the Akwapim South District Assembly from September, 2012 to December, 2013 and helped establish the Budget Unit of that Assembly when it was formed in July, 2012. Mr. John A. Donkor was the Municipal Budget Officer of the New Juaben Municipal Assembly from January, 2004 to August, 2012. He started his carrier as an Assistant Budget Analyst with the then Akuapem North District Assembly, now a Municipal Assembly in November, 1994, where he worked up to December, 2003. Mr. John A. Donkor was an Activist in “What Do You Know” and “Best Brain” Quiz Programmes from 1984 to 1986. He was the Secretary of NUGS, Kishinev Branch (USSR) from 1989 to 1991. 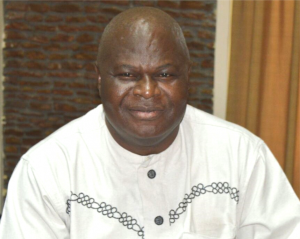 He was the Secretary of the Eastern Region Budget Analysts Welfare Association from 2003 to 2012. He then became the Chairman of the Association from January to December, 2013. Currently, he is a Member-Patron of the Association. Mr. John A. Donkor is a member of the Team that developed the Budget Section of the Public Financial Management (PFM) Templates in Sogakope that is being used for Social Accountability forums by MMDAs in the country. Hobbies of Mr. John A. Donkor are Jogging, playing of Draught, Cards and Scrabbles and watching of Adventurous movies.